Hello Doodlebug fans! 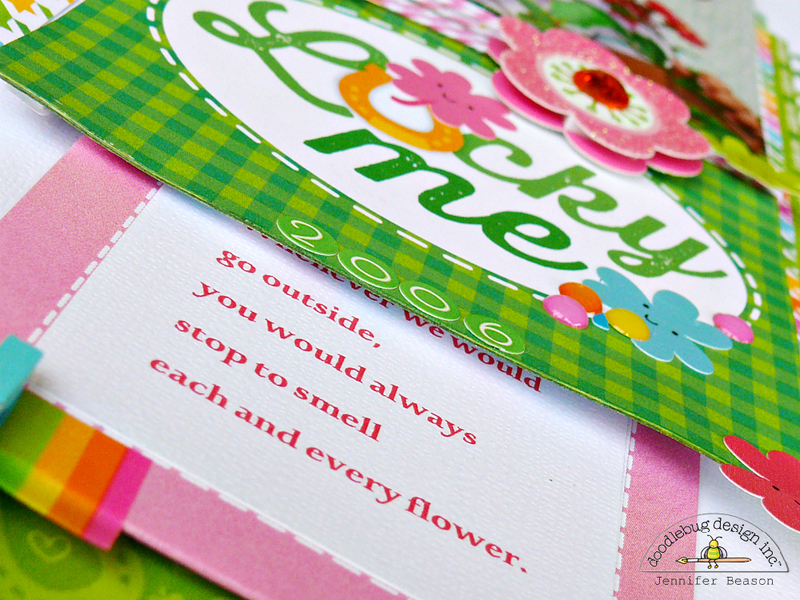 Jennifer here to share a layout I created using the Happy Go Lucky collection. I used my Silhouette to cut out a leafy background into some cardstock. Then added some glitter sprinkles, for the flowers. 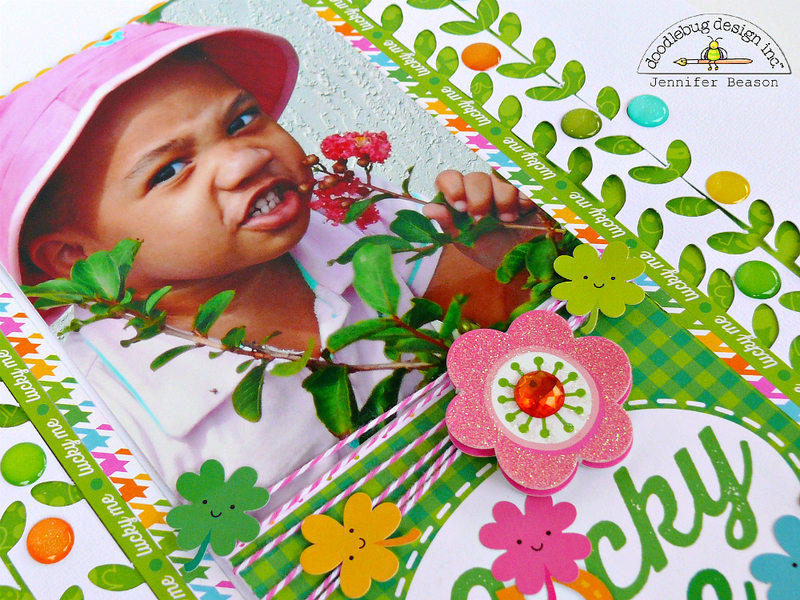 The photo and " Lucky Me" block were glued together onto some cardstock, creating a 4"x 9" rectangle. The rectangular piece was then wrapped with some twine. Then some fun clover stickers were then added, along with a Pink Posie Doodle-Pop. 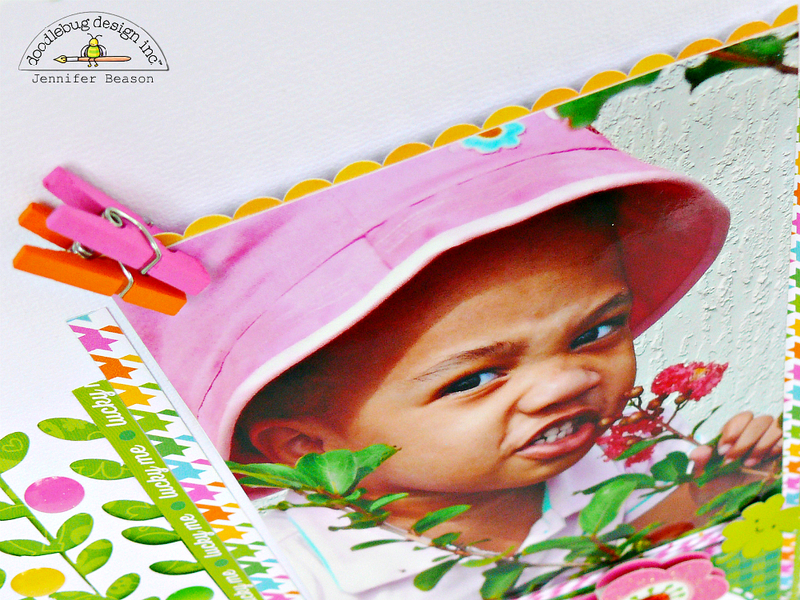 I added a scalloped border sticker behind my photo and some mini clothespins, for some pops of color. Border stickers and strips of paper were also placed on the cardstock along side of the photo. Teensy Type number stickers were used to date the layout and some Rainbow Stripe washi tape and a clothes pin was used to hold some journaling in place. Wow, wow and more wow!!! Jennifer your LO is a beauty, the picture of your kid is adorable!! Holy cuteness!!! I adore absolutely every detail of this layout Jennifer!!! Your leafy bg ROCKS!!! Awesome page and it doesn't hurt that your little guy is completely adorbsies!!! :D TFS!! 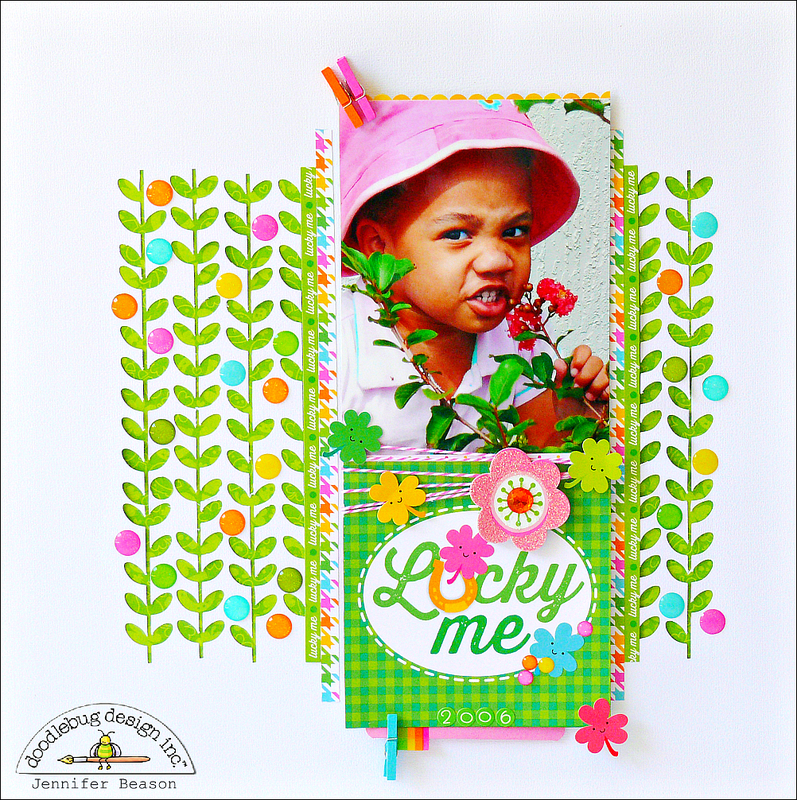 LOVE your layout Jennifer - WOW - Happy Go Lucky is an AWESOME collection and you have made it EVEN MORE AWESOME with your layout - your leafy background is PERFECT for this ADORABLE photo - THANK YOU for sharing!!! 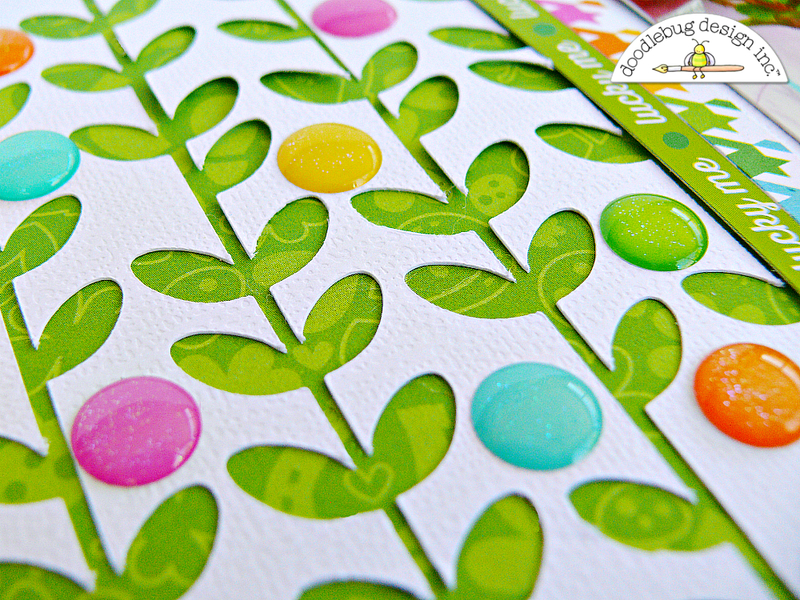 Super cool background on this layout - love the details and all those sprinkles - perfection!!! Also - I was so excited about the hideaway journaling tag!! What a delightful creation to spotlight that adorable child!! !